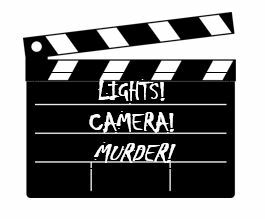 Movie Mayhem: Lights, Camera, Murder! You're "on location" for the filming of a new movie, The Final Take. You and your guests have been hired as "extras" for one of the big scenes. But sometimes, things happen that aren't in the script...with deadly results! Are you a super-sleuth? Why not join in the mysterious fun and find out? At the Lotza-Lucque Lodge, members of the staff have gathered to celebrate the memory of co-owner, Otto Lucque, who drowned two weeks ago after setting out for an afternoon of fishing on the nearby lake. But the gathering takes an unexpected turn when it becomes clear that someone has other plans fro the evening which might just include a murder!